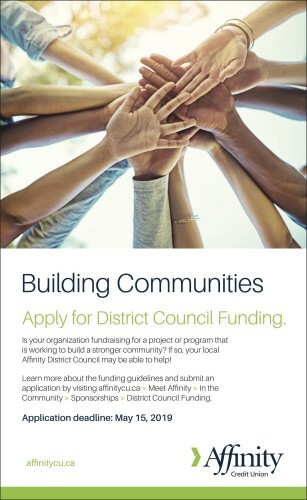 Apply for District Council Funding. Is your organization fundraising for a project or program that is working to build a stronger community? If so, your local Affinity District Council may be able to help! Learn more about the funding guidelines and submit an application by visiting affinitycu.ca > Meet Affinity > In the Community > Sponsorships > District Council Funding.